This is the latest news from our company. It is confirmed that the export of automation devices for election automation equipment of related enterprises has greatly increased as the government's ODA, which was conducted for foreign countries, became a prime role. It is thanks to the fact that the recognition of software (SW) and hardware (HW) for election automation of domestic companies has greatly increased overseas. According to the World Council of Election Agency and the industry on November 11, the export amount of the election automation system of the domestic enterprise has reached 110 billion won in the past two years. Considering that the government has applied ODA to six countries including Kyrgyzstan, Ecuador, El Salvador, Fiji, DR Congo and Uzbekistan, the amount of business received by domestic companies is 12.2 times. The industry believes that the election automation system that the World Electoral Commission (KEC) first supplied to Kyrgyzstan in 2015 has become a global benchmark, and that exports to other countries will go down. MIRU Systems is a successful pioneer in the global election automation market. The company supplied equipment to four countries, including Iraq, Russia and El Salvador, as well as exporting systems to Kyrgyzstan separately from government ODA. An official from MIRU Systems said, "In April, we signed a contract with the Iraqi election system to export equipment, and we are in the process of exporting the system to other countries besides the existing four countries. "Earlier, the World Electoral Commission supported the election automation system in Kyrgyzstan in cooperation with the Central Election Commission and the Korea International Cooperation Agency. In October 2015, Kyrgyzstan held an election by introducing a domestic optical readout machine at 2338 national polling stations in the actual general election. The success of ODA projects in Kyrgyzstan has raised the awareness of domestic election IT technology," an official from the World Electoral Agency said. "These successes are leading to the export of domestic companies." It was reported that Korean IT engineers visited the site and gave education and training. In order to complete the election automation system in one country, various SW and HW equipments must be equipped on a large scale. It is analyzed that companies' exports exceeded 100 billion won in a short period of time. 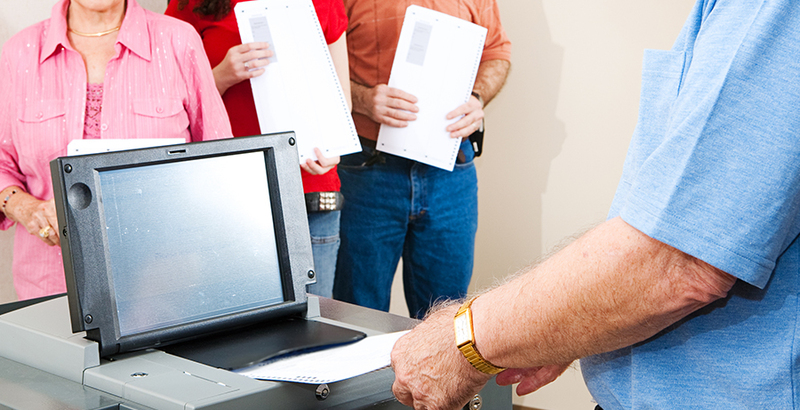 First, the optical reader included in the ballot counting equipment automatically recognizes the ballot and sign information through OMR reading and sends it to the central server. The result of the counting result The terminal scans and transmits the counting table with the result of counting. There is also a need for an election information system, which is a dedicated application developed to manage the manual election procedures in a computerized manner. Dedicated data centers should also be built to build an IT-based election environment. As demand for electronic voting in global nations increases, election SW and HW sales of domestic companies are expected to increase. "Some countries use e-voting in accordance with the election law in foreign countries, especially in the election, so it is possible to reduce the illegal intervention in the election, so the demand for the election automation system is expected to increase more and more. "He said. On the other hand, the World Electoral Agency Council is the first international organization created in 2013 and has a secretariat in Songdo, Incheon.